Insider Files: Numbuh 5. 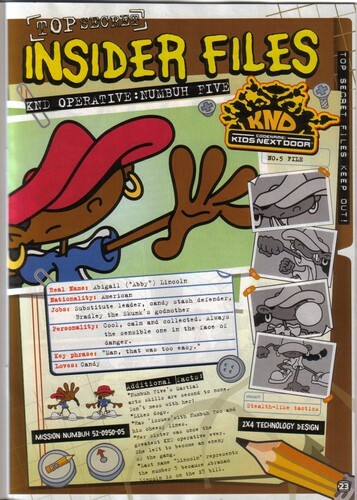 Numbuh Five's profile.. HD Wallpaper and background images in the Codename: Kids 다음 Door club tagged: photo codename kids next door knd numbuh five numbuh 5 abigail lincoln. This Codename: Kids 다음 Door photo contains 애니메이션, 만화, and 만화책. 10 Great Reasons to watch Codename: Kids 다음 Door!